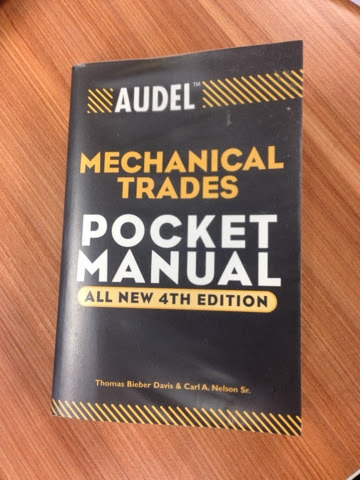 Today I would like to share something that i believe will be very usefull especially for Mechanical Engineers who use to deal with Maintenance of Machineries in any Energy Plant in the world. The book is called Mechanical Trades Pocket Manual, 4th edition by Wiley Publishing, Inc.
1. Features a chapter on safety issues. 2. Discusses machinery installation, welding, rigging, carpentry, basic electricity and more. 3. Covers belts, drives, transmissions and bearings. 4. Offers tip for preventive maintenance. This is very important for plant engineers in order to minimize downtime and prolong the lifetime of each machineries available in the plant. 6. Includes coverage of piping and pipefitting and more. 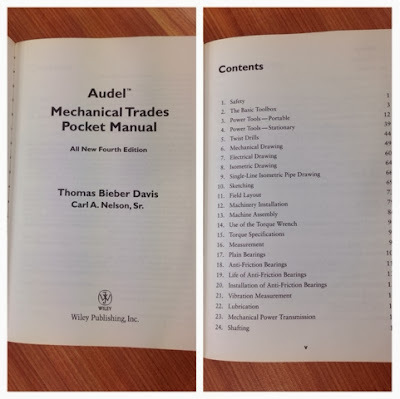 It is a good reference especially for newbies because this is a tool where you will know and learn mechanical equipments, vibrations, gears, fans, pumps, bolt, nuts regarding its usage, codes, standards, etc in order to gain a hollistic understanding of what Mechanical Engineer needs to know. Some of the contents that are available in this book. The price is RM59.80. It's worth every dollar you pay if you really read it.